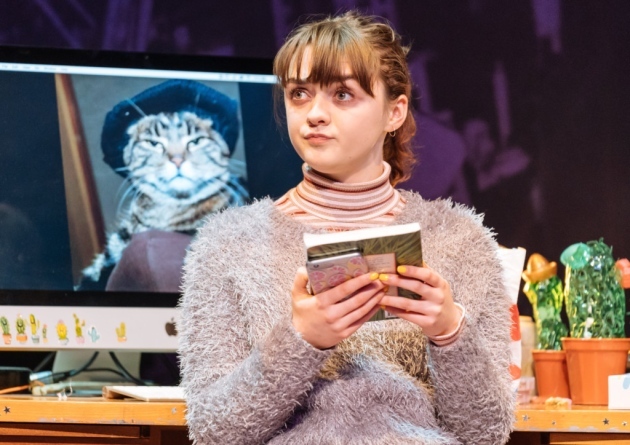 Maisie Williams (AKA Arya Stark in Game of Thrones) and Zach Wyatt make superb stage debuts in Edward Hall’s production of American playwright Lauren Gunderson’s work. Caroline, trapped at home due to an unspecified genetic illness, is surprised by schoolmate Anthony, who wants to partner on a project about poet Walt Whitman. This entry was posted in Journalism, Theatre and tagged arya stark, drama, edward hall, game of thrones, ham and high, hampstead theatre, i and you, lauren gunderson, london, maisie williams, play, poet, poetry, review, sick, teenager, theatre, transplant, walt whitman, Zach Wyatt. Bookmark the permalink.